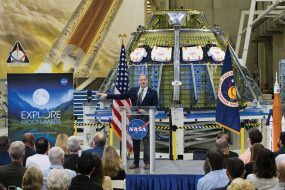 By the time ERA officially concluded its six-year run, NASA had invested more than $400 million, with another $250 million in-kind resources invested by industry partners who were involved in ERA from the start. Tiny embedded nozzles blowing air over the surface of an airplane’s vertical tail fin showed that future aircraft could safely be designed with smaller tails, reducing weight and drag. This technology was tested using Boeing’s ecoDemonstrator 757 flying laboratory. Also flown was a test of surface coatings designed to minimize drag caused by bug residue building up on the wing’s leading edge. NASA developed a new process for stitching together large sections of lightweight composite materials to create damage-tolerant structures that could be used in building uniquely shaped future aircraft that weighed as much as 20 percent less than a similar all-metal aircraft. 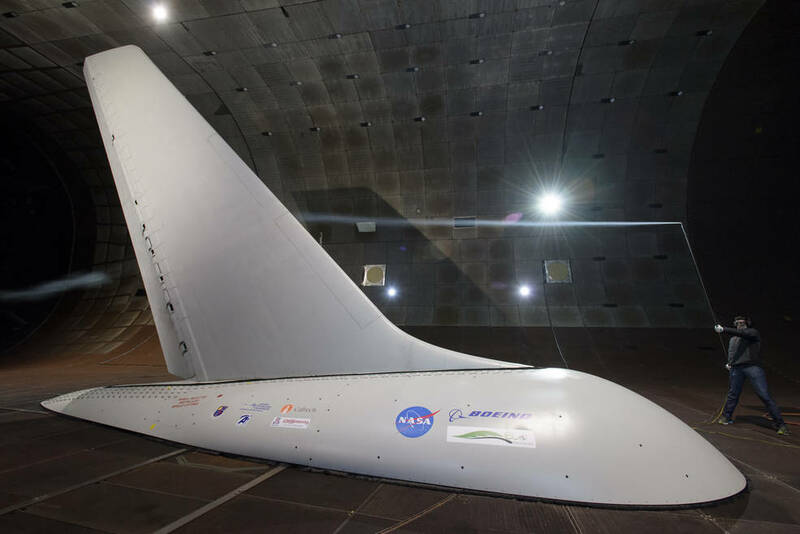 Teaming with the Air Force Research Laboratory and FlexSys Inc. of Ann Arbor, Michigan, NASA successfully tested a radical new morphing wing technology that allows an aircraft to seamlessly extend its flaps, leaving no drag-inducing, noise-enhancing gaps for air to flow through. FlexSys and Aviation Partners of Seattle already have announced plans to commercialize this technology. NASA worked with General Electric to refine the design of the compressor stage of a turbine engine to improve its aerodynamic efficiency and, after testing, realized that future engines employing this technology could save 2.5 percent in fuel burn. The agency worked with Pratt & Whitney on the company’s geared turbofan jet engine to mature an advanced fan design to improve propulsion efficiency and reduce noise. If introduced on the next-generation engine, the technology could reduce fuel burn by 15 percent and significantly reduce noise. NASA also worked with Pratt & Whitney on an improved design for a jet engine combustor, the chamber in which fuel is burned, in an attempt to reduce the amount of nitrogen oxides produced. 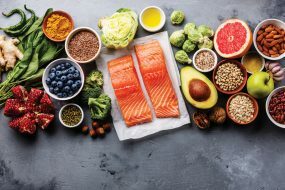 While the goal was to reduce generated pollution by 75 percent, tests of the new design showed reductions closer to 80 percent. Significant studies were performed on a hybrid wing body concept in which the wings join the fuselage in a continuous, seamless line and the jet engines are mounted on top of the airplane in the rear. Research included wind-tunnel runs to test how well the aircraft would operate at low speeds and to find the optimal engine placement, while also minimizing fuel burn and reducing noise.